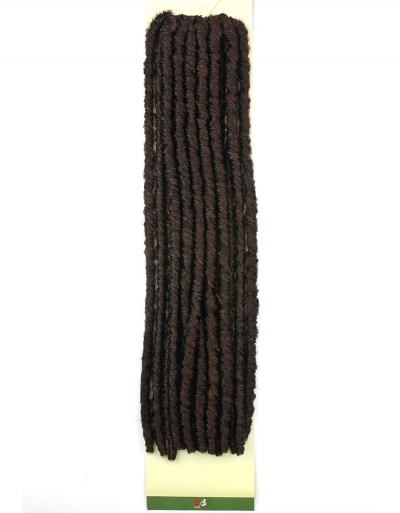 Home/BRAIDS/Bobbi Boss - Bomba Dreadlocks Faux Locs SOUL 18"
Bobbi Boss - Bomba Dreadlocks Faux Locs SOUL 18"
Thanks for the awesome product and fast shipping! I will keep buying this! Fast shipping, and great service! I love the hair and will continue to order from this site. 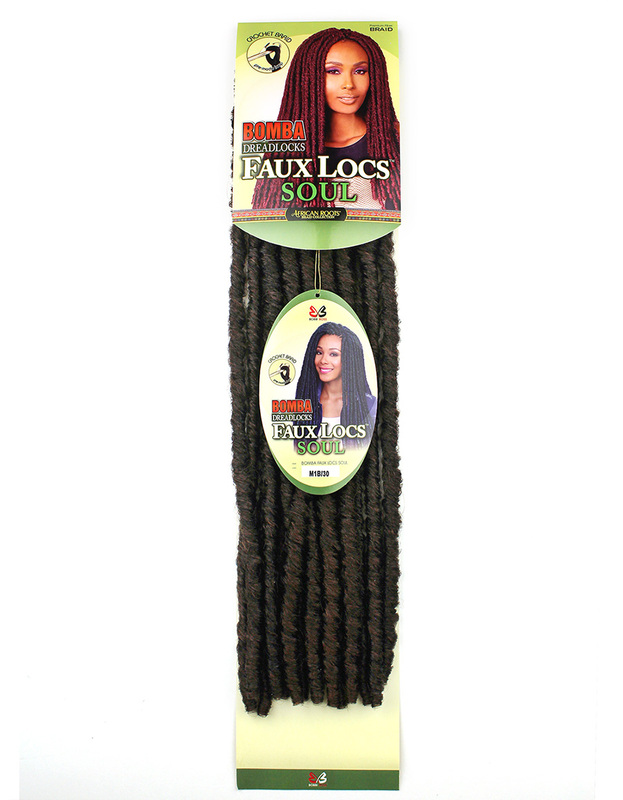 I love this website the hair is a good price &came super fast!! However this particular hair is heavy. I ordered the T1b/blue. Love the color but they are heavy and they get frizzy very quickly. I got them installed Saturday and they are already frizzy and sticking to each other and its only monday. They feel lightweight when you touch them but once installed they are a hassel. 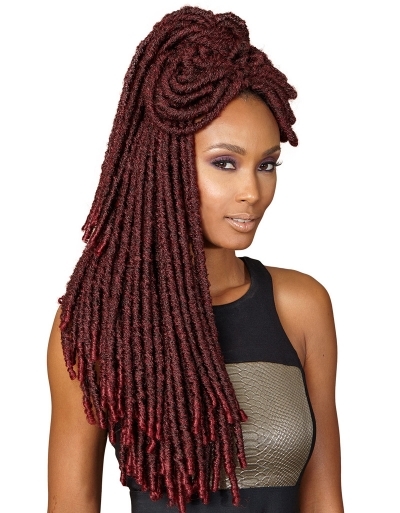 I definitely wont order this hair again but i will definitely order from this site. Price cannot be beat! I have thick hair and a big head (lol), so I use 7 bags of the 1B. I've never used any other colors but they are cute. I buy 14 bags at a time from this site because I wear faux locs very often and this hair is super expensive where I live (Atlanta). 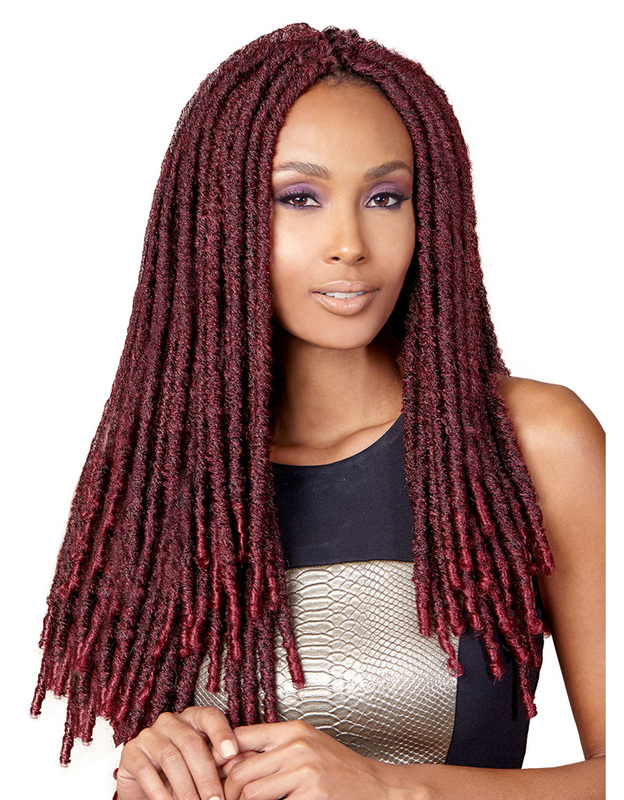 This hair is the best crochet faux locs! I only use this on my clients. I ordered 4 packs of hair. You will need a total of 5 packs to do this style (6 if you like really full hair). Be aware that the lighter colors may have a very different texture from the darker colors. The #1B/30 was drastically different from the #2. It was thicker and rougher in texture, more like authentic locs, while the #2 was soft and more like a palm roll (when you first begin locs) texture. Also, the #1B/30 is 18in but the #2 was much longer (approx 20- 22in). I cut off a lot on the #2 to make the hair more even. All in all, this hair is ok. I would have preferred more tapered ends, but I do like that the soft ends don't snag. 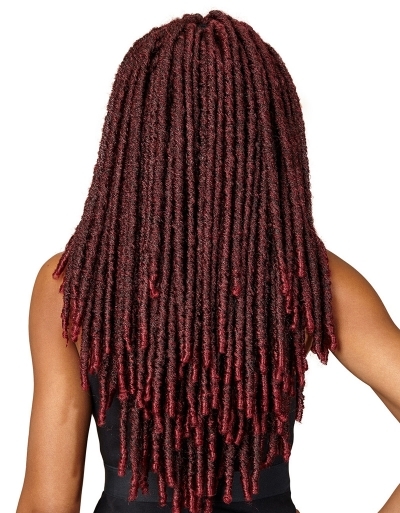 Another thing, because of the "coily" ends, you can easily turn this hair into goddess locs. I've had it in for about a week and it is already frizzing up. That might lend to the authenticity, but I don't like the different textures. I give it about a month. Fast shipping from hairbird; I will definitely be ordering from them again! Bobbi Boss - Nu Locs Curly Tips 20"
Bobbi Boss - Crochet Braid Bae Locs 12"
Mane Concept - Afri Naptural WATER WAVE 12"